This warmed my heart. Pass it on. Bullying is a huge problem in schools around the world, which leaves thousands of kids a year feeling insecure and abused. This foul treatment can cause both physical and emotional distress. The reality is that almost every kid experiences bullying in some way, so if you haven’t, you’re very lucky. When this little girl told her dad that she was being bullied, he decided that he needed to tell her how special she really is. 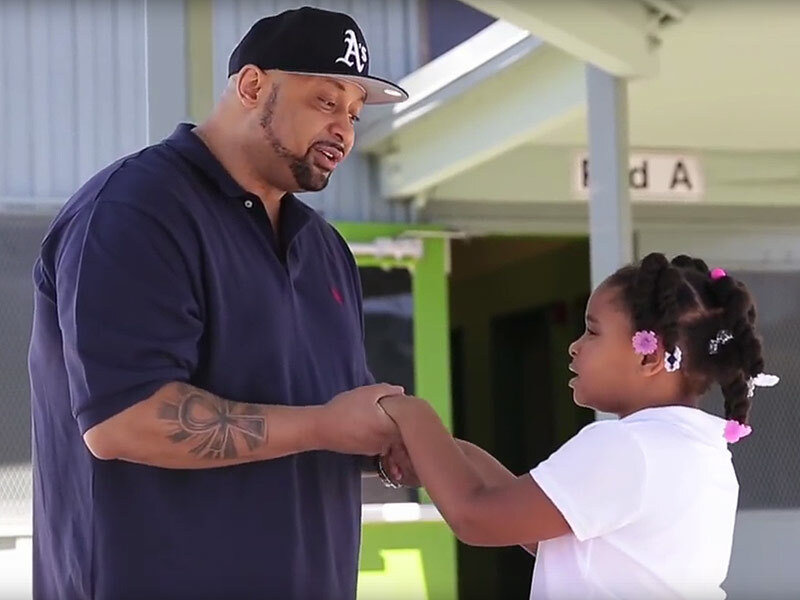 He sat down and wrote a poem, which he then put to music, and created a song meant to inspire not only his own kids, but kids across the country who are dealing with bullying and harassment. This dad is no stranger to viral fame. He once wrote a song to his wife about how he wished she loved herself more, which you can check out here. This entry was posted in bullying, music videos and tagged bullying, hip hop music, music videos, self-confidence by luckyotter. Bookmark the permalink.